Introducing the BRAND NEW 2014 Earthing® Throw! 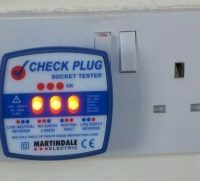 THE BEST EARTHING EXPERIENCE EVER! GROUND ROD OPTION! 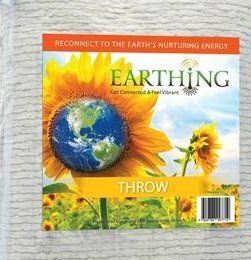 Introducing the BRAND NEW Earthing® Throw! NOW 15% thicker as of June 2014! 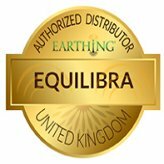 THE BEST EARTHING EXPERIENCE EVER! GROUND ROD OPTION! 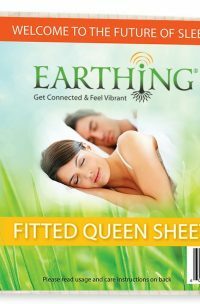 Made of the same 100% Plush, sumptuous, thick, yet soft 100% Organic Cotton that is used on the New Earthing Bed to cover the Earthing Mattress, the throw measures approximately 66″ x 41″. Great for cuddling up with, the throw is plush, luxurious, thick and soft with a tan micro-fibre backing to compliment the smooth organic cotton side which is embedded with ¼ mile of silver fibres. Durable, washable and warm, the throw is the cosiest way to ground! 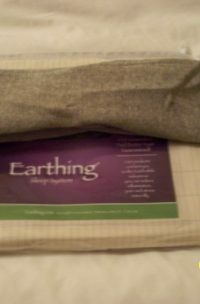 The Earthing Throw is quite portable and can be used in a variety of locations. Just remember that only one side of the Throw is conductive and not the other. You can use the Throw in a variety of ways, such as a bottom half-sheet on your bed or as a wrap to snuggle up inside of while reading, using the computer, or watching television. If you choose to use the Throw in bed, place it over the bottom fitted sheet to sleep in utter comfort. You can also use the Throw to cover you, keep you both warm and toasty, as well as grounded while in bed. Just use it under a normal bed sheet to cover you during the night, or while you rest. You must have some bare skin contact with the conductive side. Similarly if you use it as a Throw while seated, make sure the conductive side has some contact with your bare skin.